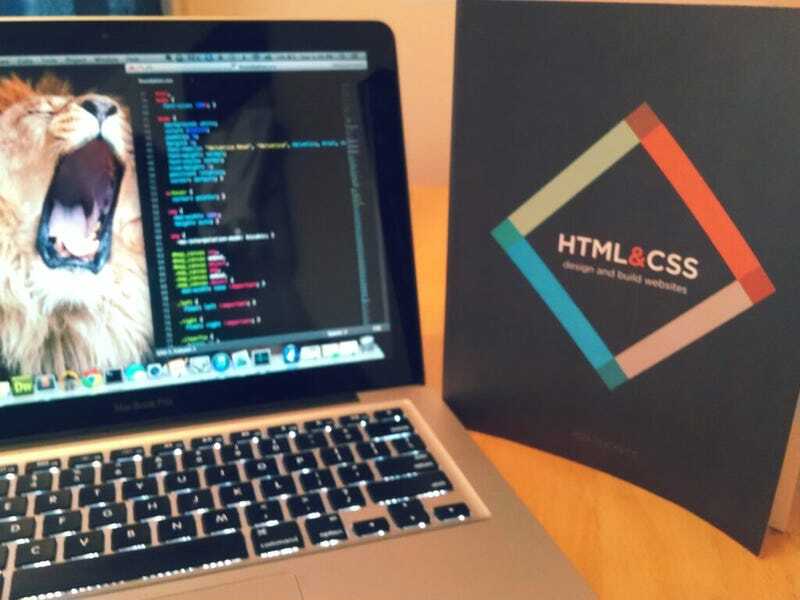 If you're an autodidact style learner and want to get a handle on HTML and CSS, you need to check out HTML & CSS: design and build websites by Jon Duckett. If you've already learned html and css and want to have a quick reference around, this is what I use it for and it's still a great option. Visuals: The reason online courses, like CodeCademy, for html and css are so handy is because they offer you the ability to see what's being explained to you. Visuals help both your comprehension and your ability to remember the information that's being presented to you. Plain text isn't as great as either of those things. This is the only book I've found that offers the same in a way that almost feels interactive in and of itself. It's Comprehensive: HTML and CSS aren't tough to learn, but with the wrong guide thy can be. This book teaches everything in plain english. The worst guides are the ones that leave you feeling like you don't have an answer because the explanation was packed with technical language you haven't completely learned yet. Duckett knows better.